Bollywood actress Sonam Kapoor congratulated all the winners from Golden Globe awards, which happened on Sunday. In her congratulatory tweet, Sonam made a special mention of Frances McDormand, who won 'Best Actress in a Motion Picture - Drama' for her role in Three Billboards Outside Ebbing, Missouri. "Congratulations to all the winners from last night! I have to make a special mention of Frances' award as her performance was truly outstanding," tweeted Sonam. 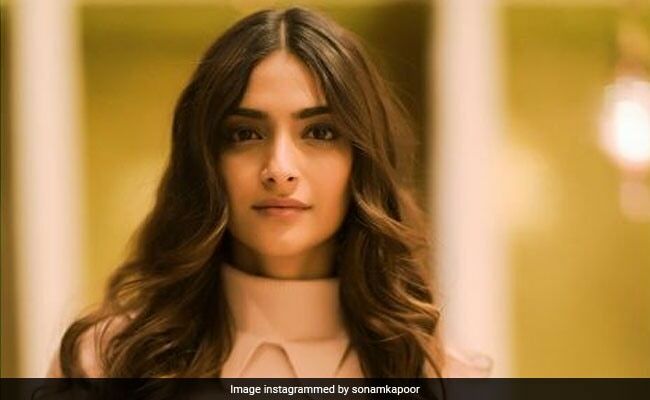 Sonam not only congratulated the winners but she also supported actress and media powerhouse Oprah Winfrey's powerful speech, in which Oprah mentioned film industry's culture of sexual harassment and abuse and also the 'MeToo' and 'Time's Up' campaigns. Here's Sonam's congratulatory message for all the winners at the Golden Globes. Sharing Oprah Winfrey's speech, Sonam wrote: "Women and girls all over the world must know that we are all here to help them. We are a family of supporters and I hope that those who have stories to tell will now have the confidence and courage to speak up! #GoldenGlobes." "Speaking your truth is the most powerful tool we all have," Oprah Winfrey told the audience at the Beverly Hilton as she accepted the Cecil B. DeMille Award - essentially a lifetime achievement award at the Golden Globes on Sunday. Apart from Oprah Winfrey, actors like Nicole Kidman and Elisabeth Moss won awards for their performances in the TV shows Big Little Lies and The Handmaid's Tale respectively at the Golden Globes. Also Frances McDormand and Sam Rockwell won Best Actress - Drama and Best Supporting Actor for Three Billboards Outside Ebbing, Missouri. Sterling K Brown made history as the first African-American to win Best Actor (TV) - Drama for This Is Us. Sonam Kapoor star of films like Aisha, Khoobsurat, Prem Ratan Dhan Payo and Neerja, received the National Film Award - Special Mention and Filmfare Critics Award for Best Actress for portraying the titular role in the biographical thriller Neerja. Sonam Kapoor is currently awaiting the release of PadMan, co-starring Akshay Kumar. She also has Veere Di Wedding with Kareena Kapoor Khan and Swara Bhasker in the pipeline.